My fun and loveable equine companion, Shakespeare, aka Bear. I’m so glad he’s the comic Shakespeare. Favorite Character | Crow Arrow, Inc. 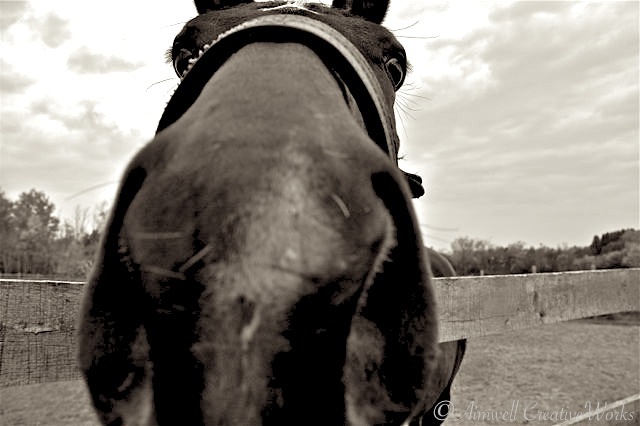 This entry was posted in Animals, Daily Post, Equestrian, Humor, NaBloPoMo, Photography, Shout Outs, Uncategorized and tagged Aimwell CreativeWorks, black and white, character, daily post, Dorothy Chiotti, Equestrian, Equine image, Horses, Light and shadow, NaBloPoMo, Photography, postaday. Bookmark the permalink. That I do. 😉 Thanks for stopping by.